Atlanta is a center of culture, tradition, and all the fine foods that come with it. The atmosphere of Atlanta’s Italian restaurants can range anywhere from home-style neighborhood trattoria to impeccable fine dining and the freshest seafood. One thing for sure, Atlanta’s choices of Italian food are anything but limited. BoccaLupo is a restaurant and bar that serves delicious soul-food style Italian American cooking that mixes their traditional flavors and techniques with contemporary style. The restaurant’s menu is constantly changing based on the freshest ingredients that are available that season. Visitors can choose from a range of antipasti platters, pasta, desserts, and beverages. Some of the popular dishes include Southern fried chicken parmesan served with creamy collards, the chicken liver ravioli, and the cream cheese panna cotta topped with huckleberries and squid ink cookie crumbs. Diners can wrap up their meal with a delicious espresso, cappuccino, or latte. 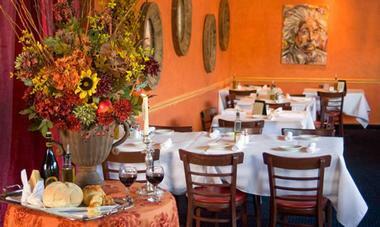 Family owned and operated, Il Localino will definitely make its guests feel like one of the family when there. The restaurant offers all the traditional favorites, and the Italian home cooking combined with the cozy setting really makes for a memorable dining experience. The restaurant has been presented with a Certificate of Excellence by TripAdvisor and has won the OpenTable Diners’ Choice Award. Rightly so, as dishes such as assorted imported Italian cold cuts, fried calamari, cheese ravioli, spaghetti and meatballs, fettuccine alfredo, and tiramisu grace the menu. Visitors in Atlanta craving something sweet shouldn’t miss the Italian Ricotta Cheesecake, which is rich, decadent, and delicious. 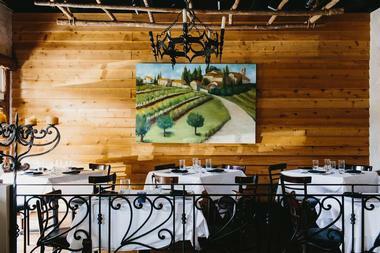 The Antica Posta Restaurant has been serving the Atlanta community with rich Italian food since 1999. The restaurant is owned by the Betti brothers who grew up on the Tuscan Hills near Florence working in their father’s butcher shop and helping their mother in the kitchen. All of their experiences have contributed to the dedication and energy they put into Antica Posta. The restaurant, bar, and wine shop offers meals created using traditional recipes and seasonal fresh ingredients, and dishes are paired with the finest Italian and American wines. Some of the specialties include the Italian salami that is homemade and seasoned according to their secret recipe. The Local Pizzaiolo is a delicious Atlanta pizza parlor opened in 2018 by four-time World Pizza Champion Giulio Adriani, the force behind New York City's acclaimed restaurant Forcella, known for its unique flash-fried pizzas. 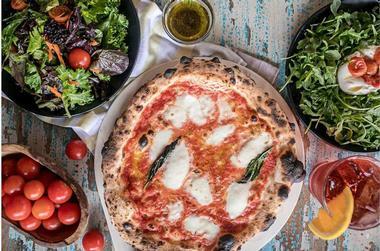 Four locations of the counter-service joint are offered throughout the Atlanta neighborhoods of Toco Hills, Madison Yards, Sandy Springs, and the Westside, serving up 11 distinct varieties of Neapolitan pizzas. 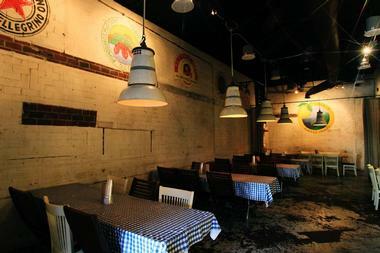 Variants include pizzas prepared with local Heirloom Market BBQ meat cuts and several Roman-style sandwich-like styles. Gluten-free options are available upon request, with health-conscious menus items such as superfood salads offered to balance out carbs. The cash-free restaurant also serves up four signature Italian-style cocktails crafted by expert mixologist Bratislav Glisic. Chef and owner Riccardo Ullio has a range of restaurants that focus on different aspects of fine dining. 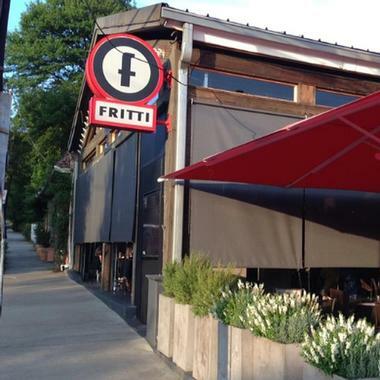 While Sotto Sotto specializes in authentic Italian entrees and Escorpion is a Mexican tequila bar, Fritti offers diners authentic Neopolitan pizza that is prepared according to traditional artisanal methods. It is certified by the Verace Pizza Napoletana Association, and there are over twenty-eight types of pizza on the dinner menu. 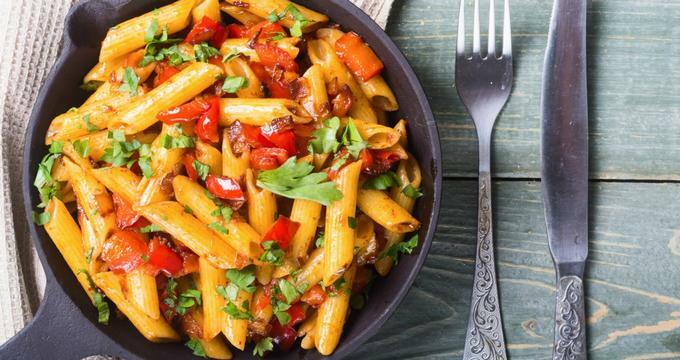 Some popular options include marinara made with olive oil and wild pugliese oregano, the sorrentina, which is topped with smoked mozzarella, cherry tomatoes, and basil, or the quattro formaggi, layered with fresh mozzarella, fontina, emmenthal, and parmigiano. Gio’s Chicken Amalfitano is a neighborhood treasure and has been serving authentic Italian cuisine for years. The restaurant offers Italian classics such as the Spaghetti Lunghi Con Polpette, which is spaghetti tossed in a seasoned ragu sauce that has been simmering for hours and topped with meatballs and ricotta cheese. The restaurant also serves soup, macaroni, paninis, and specials such as the Carne Alla Pizzaiola, a thin angus steak cooked with fresh garlic and wild oregano. What’s better is that the owner has three other cafes and restaurants in the neighborhood serving pizza, gelato, sorbets, and much more. 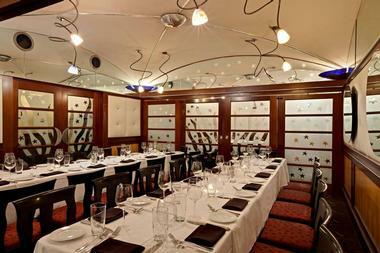 La Grotta Ristorante has been offering an Italian fine dining experience to locals and visitors since 1978. Atlanta Magazine voted the restaurant has been voted the Best Italian Restaurant by Atlanta Magazine for eighteen consecutive years, and it has also been a AAA Four Diamond Award recipient for over twenty years. 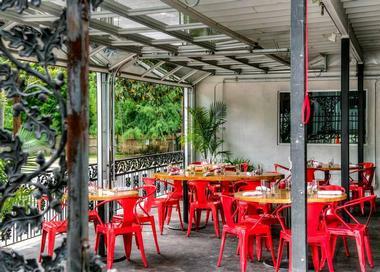 The ambiance and atmosphere of the restaurant contributes to its popularity with Atlanta diners; diners can look over the beautiful courtyard garden with plush banquettes, lush green landscapes, and romantic brick archways. The restaurant works with local growers to use the freshest ingredients in their dishes such as the beef tenderloin carpaccio dressed with aged manchego, grilled artichokes, arugula, and black truffle dressing. 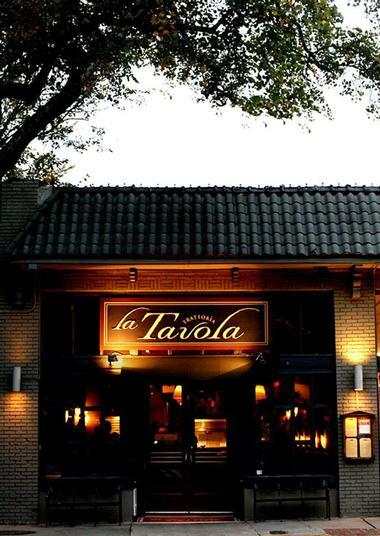 A favorite among locals, La Tavola has many accolades under its belt including, their spaghetti and meatballs that were named one of the “101 Dishes to Eat in Atlanta before You Die.” The restaurant offers an amazing experience and has one of the best Sunday brunches in Atlanta. Some of the unique dishes include the ravioli stuffed with milk braised pork, the squid ink spaghetti, and the whole grain rigatoni tossed in a duck sausage ragu sauce. La Tavola offers a separate gluten-free range that includes a number of antipasti and dishes such as the salami board filled with house-cured and artisanal meats or the braised veal shank. 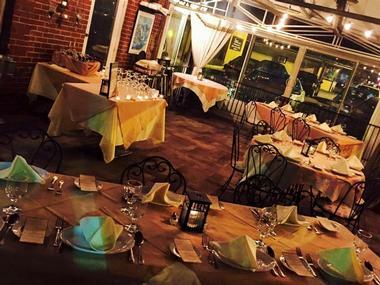 Providing a true Italian dining experience, Nino’s Italian Restaurant is perfect for family meals and other large gatherings filled with love, laughter, and good food and wine. 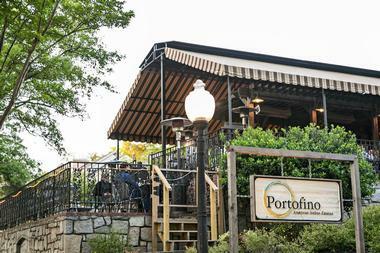 The restaurant opened in 1968, and it is the oldest family-owned Italian restaurant in Atlanta. Owned and operated by Antonio Noviello (Nino) who hails from the Amalfi Coast of Southern Italy, the restaurant serves authentic cuisine made with fresh, locally-sourced ingredients alongside traditional ingredients imported directly from Italy. Many of the dishes are Nino’s original recipes and include escargot seasoned with butter and garlic and fettuccine with sautéed shrimp and scallops in a saffron cream sauce. Famous guests include Michael Bolton, Kenny Rogers, and Chuck Norris. 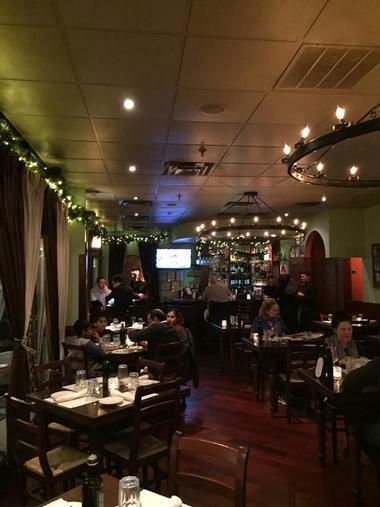 Pasta Da Pulcinella, located in midtown Atlanta, is the perfect place for those looking for a delicious Italian lunch or dinner. 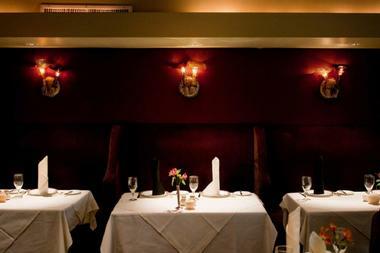 The restaurant is cozy, charming, and great for a romantic evening out or a lunch with family and friends. Chef Bibbiano has put together an imaginative menu filled with Italian favorites. His signature dish, the Tortelli di Mele, a round freshly-made ravioli filled with sausages, Granny Smith apples, and parmigiano, is a must try when visiting. Other favorites include the bruschetta, the Chicken Milanese, the lobster ravioli, and the grilled T-bone steak with pesto arborio rice. Offering the finest American Italian cuisine in Atlanta, Portofino has a varied menu filled with items perfected for brunch, dinner, and dessert. 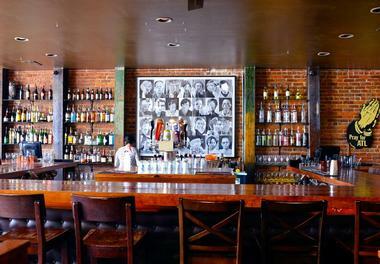 They also have an extensive wine and drink list that includes a refreshing Italian beer. Brunch is available every Sunday from 11:30 am to 2:00 pm and has many starters and entrees available. Some that shouldn’t be missed are the warm goat cheese served with roasted mushrooms and white truffle oil, as well as the garlic and parmesan fries. The desserts are rich with gelato, white chocolate, or mascarpone frosting; the tiramisu or the dark chocolate hazelnut torte pair well with any meal. With many accolades such as being listed one of the “Top 25 Restaurants in Atlanta,” Pricci is a contemporary Italian restaurant that combines classic cuisine with modern flair. The fun, casual interior combined with the friendly service adds to the amazing experience the restaurant offers. Visitors are taken on a culinary journey from Atlanta to Milan, where Executive Chef Piero Premoli learned everything he knows about food at a young age. His experience is reflected on the menu, which has delicious mains such as gnocchi with fresh baby artichokes and fontina cheese, wild mushroom risotto tossed in a truffle pesto, and grilled whole fish with lemon and capers. Chef and owner Riccardo Ullio has a range of restaurants that focus on different aspects of dining. While Escorpion is a Mexican tequila bar and Fritti has authentic Neopolitan pizza, Sotto Sotto was the end result of Ricardo wanting to serve the delicious delicacies of his childhood. 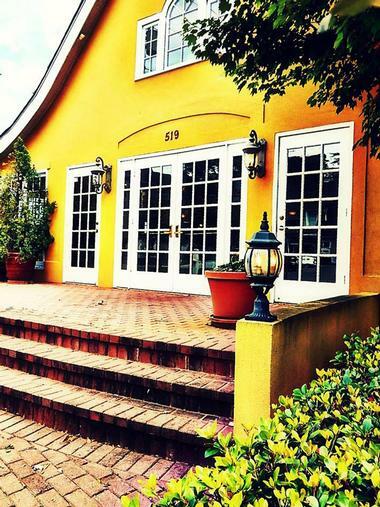 The cozy, authentic Italian restaurant has won many awards over the years and has been named Atlanta’s Best Italian Restaurant by Bon Appetit, AOL Cityguide, and many more. Guests can start with a plate of assorted Italian meats, cheeses, olives, and mushrooms, move on to a first course size of spinach and ricotta gnocchi, and then feast on Scottish salmon over black rice, arugula, and fresh seasonal vegetables. Embracing all the warmth of an Italian village cafe with all the amenities of a modern, upscale restaurant, Valenza offers a wonderful dining experience for those in Atlanta. The restaurant is tucked away from the sounds of the busy streets and has an ambiance similar to the Tuscan countryside. The cuisine is inspired by different cultures and regions of Italy and has all the classic favorites that guests crave. Favorites include the roasted butternut squash ravioli, the veal and pork meatballs cooked in red wine and served over spaghetti with fresh mozzarella, and shrimp cooked in white wine over linguini. Neapolitan-style Italian that’s locally owned and globally inspired, Crispina Ristorante and Pizzeria is one of Atlanta’s newest traditional Italian restaurants. Offering naturally leavened pizza dough and pasta made fresh every day, the restaurant offers authentic Italian food that delights all of the senses. The extensive menu includes antipasti, soups served with freshly baked bread, salad, pastas, paninis, sides, and a build-your-own pizza with a number of toppings. Classic dishes that will please even the most particular palate are the spaghetti sautéed with fresh clams and white wine sauce, the homemade ravioli stuffed with spinach and a blend of cheeses, and the meatball and provolone panini. 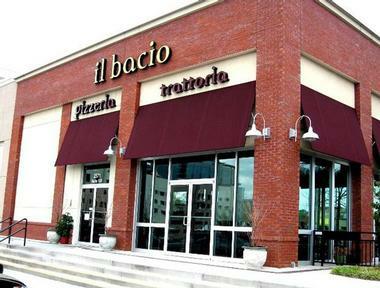 Il Bacio Pizzeria and Trattoria is the brainchild of a couple who had the most amazing childhood memories at their New York neighborhood’s very own trattoria. Wanting to offer a laid-back setting where diners could be casual, have fun, and eat good Italian comfort food, they opened the restaurant in 2007. They use the highest quality ingredients and can honor special requests such as the use of soy cheese, rice pastas, or whole-wheat pizza crust. The menu is filled with favorites such as the fried calamari, minestrone soup, lasagna, ziti, spaghetti, and fettuccine alfredo. There’s a separate kid’s menu for diners ten years old and younger that has smaller portion of kid-friendly entrees. Ippolito’s has many locations, all of which guarantee authentic Italian dishes served to guests in a friendly atmosphere. Since 1989, diners have gone to Ippolito’s looking to satisfy their craving for homemade sandwiches, pizzas, calzones, and pastas. The sandwiches are delectable and include the Italian, which is filled with ham, salami, provolone, and served hot or cold on a hoagie, a gyro, which is a grilled tortilla stuffed with marinated lamb, feta cheese, and tzatziki sauce, and the grilled chicken breast topped with pears and melted brie in a toasted telera roll. Some of the mouth-watering baked dishes include the lasagna, ziti, and chicken and sundried tomato shells. 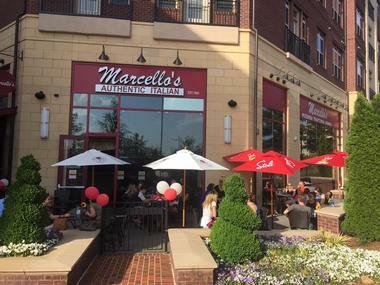 Dine with Marcello’s at Emory and become part of the family! 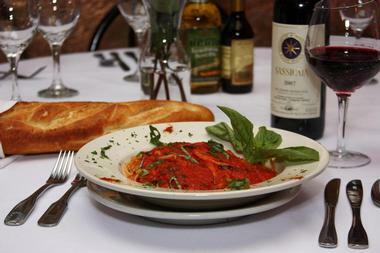 The family-owned restaurant has been serving traditional Italian cuisine in a casual dining environment since 1984. 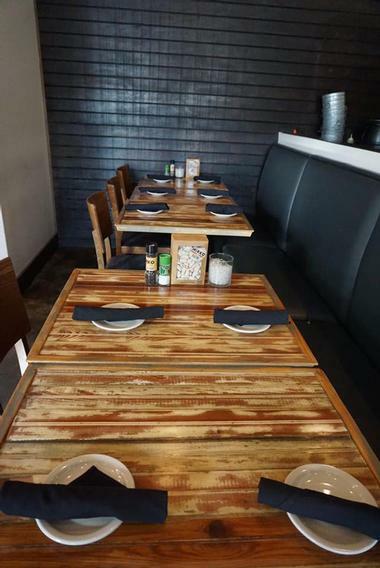 The restaurant has a full service pizzeria complete with a brick oven, a rustic bar with great wines and beers to pair with your meal, and a dining room that’s perfect for an intimate dinner or family gathering. Other than the calzones, strombolis, pastas, and antipasti, the restaurant also has a range of options for gluten-free diners. Some of the items on the gluten-free menu are pizza, cheese ravioli, and manicotti. Italian cuisine offers a range of rich dishes filled with sauces and cheese. Mirko Pasta offers a healthier alternative packed with the tastes and flavors we’ve all grown to know and love. The homemade, handcrafted meals are made using the finest, locally-sourced ingredients. Whether opting for the steamed mussels in the white wine sauce or the homemade gluten-free pasta, visitors will leave Mirko’s satisfied and eager to come back. The desserts are not to be missed, as popular options such as crepes with fresh strawberries and lemon sorbet are the perfect end to a perfect meal. Noni’s neighborhood trattoria is everything a diner wants when craving traditional and tasty Italian food. Open every day from 11:30 am to 11:00 pm, the restaurant exudes a family-dining environment where food is shared, laughter is loud, and everybody leaves happy. The antipasti menu has favorites such as stuffed grape leaves, fried calamari, and wedding soup; the range of pasta and sandwiches offers everything from whole wheat penne tossed in pancetta cream to the traditional meatball sub served on toasted ciabatta. 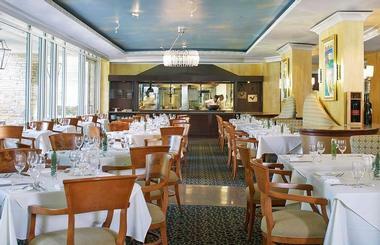 The restaurant's most popular dishes are the seafood scampi, lasagna bolognese, and the chicken and eggplant parmesan. Owned by a former customer, Pasta Vino has been serving the Atlanta area with delicious Italian food since the late 80s. The environment has a home-away-from-home vibe where staff and diners engage in friendly chats. The tables are filled with couples, families, and children all enjoying the delicious meals Pasta Vino offers. Everything on the menu has a touch of authenticity, and rightly so, as sauces simmer all day, imported cheese is cut from a wheel and grated, meatballs are hand rolled, and gnocchi is created from scratch. Visitors who are lucky enough to be there for the seasonal specials will be able to dine on lamb bolognese parpardelle and caprese grilled trout insalata among other popular dishes. 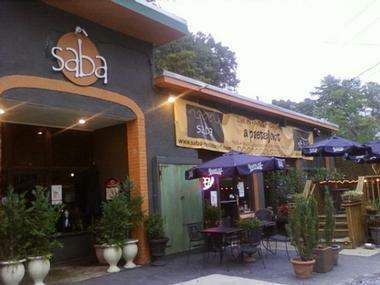 Saba serves delicious Italian sandwiches, pastas, soups, and salads. Guests are drawn to the cozy neighborhood restaurant with its handmade pastas and fresh-baked breads. The restaurant is open daily from 11:00 am to 10:00 pm and has a separate kid’s menu filled with more children-friendly meals. There are many dishes that are worth mentioning, but Saba’s ravioli is one of the highlights of the menu. Diners can choose from four cheeses, pumpkin, chicken and spinach, wild mushroom, and eggplant ravioli, each of which has a unique, delicious flavor. 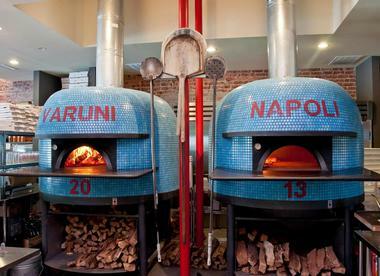 Varuni Napoli transports diners from the busy streets of Atlanta to the delightful streets of Naples with each bite of the authentic cuisine offered. Their pizza is made from a recipe that has been passed down over generations, the meatballs are as succulent and juicy as those Italian mothers make in their home kitchens, and the eggplant parmigiana is bursting with the seasonings that Italy is known for. Dining at Varuni Napoli gives guests an inside look into the intricately shaped ravioli and hand tossed pizzas as they overlook the bustling open kitchen. Visitors can try the house made liqueurs to accompany their meal or a delicious tiramisu to end on a sweet note. 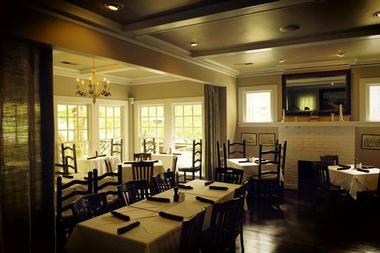 One of Atlanta’s favorite places for fine Italian cuisine, Villa Christina creates every meal from scratch. They infuse the flavors of Italy with the freshest seasonal ingredients, and visitors are left with a meal that is incomparable to anything else. One of the unique aspects of the restaurant is that they offer a breakfast and lunch buffet, each of which is filled with traditional favorites that will satiate everyone in the family. The ala carte menu includes jumbo lump crab cakes, shrimp and calamari all’olio, and lemon crusted sea bass. There are many gluten-free, vegetarian, and vegan options such as the eggplant and tofu napoleon.